Pop music artist Katy Perry said that the idea of her mega hit “Roar” came from her own inner voice that was “tired of keeping all of these feelings inside and not speaking up for myself.” The song is an empowering tribute about taking control, and a particular message to all her young fans about self-esteem and recognizing their inner champion. Like Perry’s message, Dr. Carli Snyder is determined to help the next generation of young girls to embrace their extraordinary self. Girl Nation also offers a scholarship program to girls who otherwise would not have an opportunity to take the class. Several girls have already received scholarships, and the feedback was so moving that Snyder is expanding the program through their fundraising efforts. The group recently hosted the Las Vegas premier of a documentary film called Screenagers in partnership with The Temple Sinai Las Vegas where donations were accepted. The movie digs into the lives of teenagers and how the time they spend online effects their education, family life, friendships and personal safety. Snyder, along with Rabbi Malcolm Cohen, held a Q&A following the screening, covering topics such as bullying, social platforms, video gaming and internet addiction. This article originally appeared in the September issue of 89135 Zip Code Magazine. 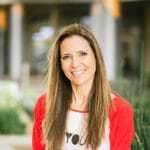 Dr. Carli Snyder, a board certified clinical psychologist practicing in the Las Vegas area for the last twelve years, is the founder and creator of Girl Nation. Carli’s approachable style and passion for inspiring girls to be their best possible selves makes her an influence girls are inspired to follow. At a time when studies are telling us that “the average girl’s self esteem peaks at the age of 9 and then plummets,” Girl Nation’s mission is to create a community where girls are encouraged to connect, inspire, and support each other. Join our mailing list to receive the latest news and updates from Girl Nation.